Get it sealed – or maybe even stained: Take preventative care measures to preserve your pavement. Make sure to add sealant before winter arrives. However, before you get it sealed, think about adding a subtle new look to your concrete. Talk to us today about concrete staining. It’s a surefire way to highlight your patio in any season. 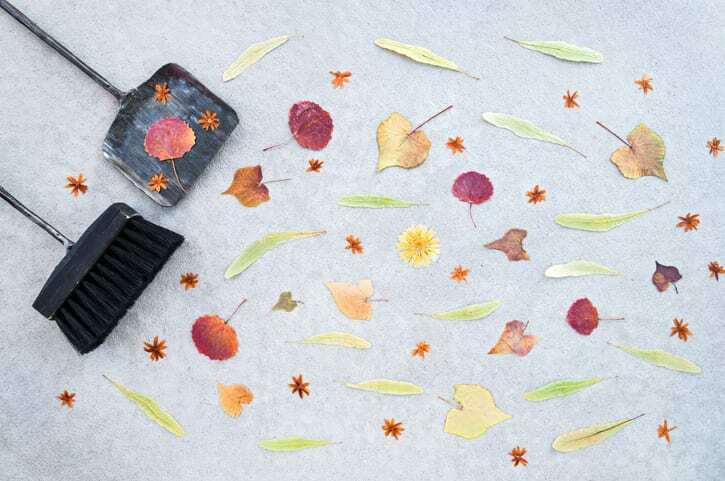 Clean and rearrange regularly: From fall into winter, take time to sweep leaves and other debris off your patio. For an added touch of something new, rearrange or add new furniture and accessories that suit the season. This is a great way to keep your patio on trend and appealing. Installing a patio? Make it a stamped one: If you’re thinking about installing a patio on your property, don’t settle for something plain. Instead, opt for a decorative concrete option, such as stamped concrete. You may be amazed at how this one touch can boost your home’s character. For all your concrete patio needs, call GW Brockelbank Concrete Contractors. Discover how we can transform your property with our beautiful concrete designs!